Unknown7:38 AM 0 sweets for free! It's a snack you're very familiar with! Level up your Piattos Time and win exciting prizes! Jack 'n Jill Piattos entices you to level up your #PiattosTime for a chance to win gadgets and a Southeast Asian trip with the #PiattosTime Video challenge. 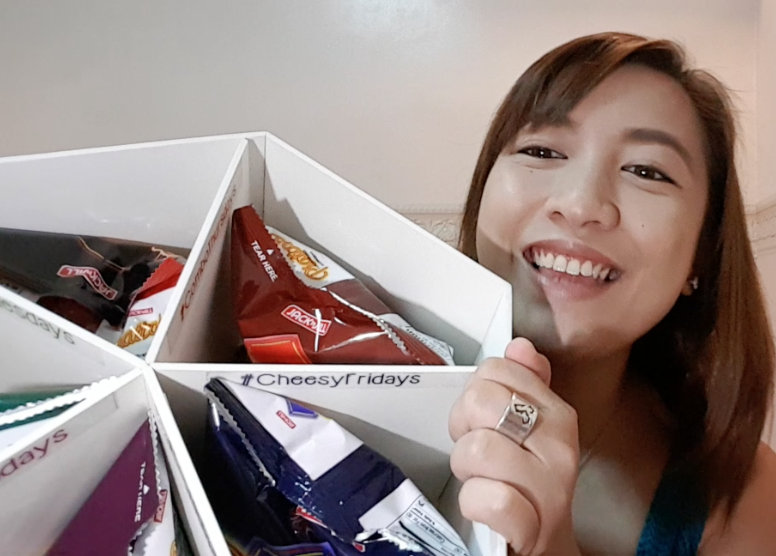 The #PiattosTime Video Challenge encourages individuals to go beyond their usual habits and make their personal time more creative and enjoyable, all while enjoying their favorite Piattos flavors like Cheese, Sour Cream & Onion, Roadhouse BBQ, Nacho Pizza, and Roast Beef. These flavors are not your ordinary flavor for chips and I personally love the Roast Beef variant. To join, participants must create a short video entry (15-30 seconds) showing how they level up their Piattos Time. The entry should be uploaded on the participant's personal social media account (Facebook, Instagram and/or Twitter) with the official hashtag #PiattosTime and a short caption describing his/her leveled up Piattos Time. They should also tag at least three friends in the post. Participants can upload as many videos as they want in their social media accounts, but a maximum of two (2) videos shall serve as their official entries. These should be registered in the official microsite, www.piattostime.com. The 18 contestants with the most creative and fun #PiattosTime video entry will win GoPro kits. Among these semifinalists, the three (3) with the best entries will each win a Southeast Asian trip for two to either Bali, Hong Kong, or Bangkok. The grand prize winning entries will also be included in the #PiattosTime digital commercial by the end of the promo. Those who are interested to join may also visit the Piattos Facebook fan page, facebook.com/piattostime, or the #PiattosTime Video Challenge microsite, www.piattostime.com. Deadline of submission of entries is on November 16, 2016.